The MCP2140A is a cost-effective, low pin count (18-pin), easy-to-use device for implementing IrDA standard wireless connectivity. The MCP2140A provides support for the IrDA standard protocol “stack”, bit encoding/decoding and low cost, discrete IR receiver circuitry. 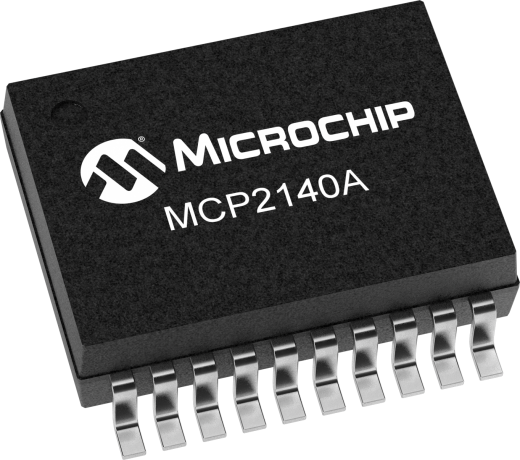 The MCP2140A is footprint compatible with the MCP2140.